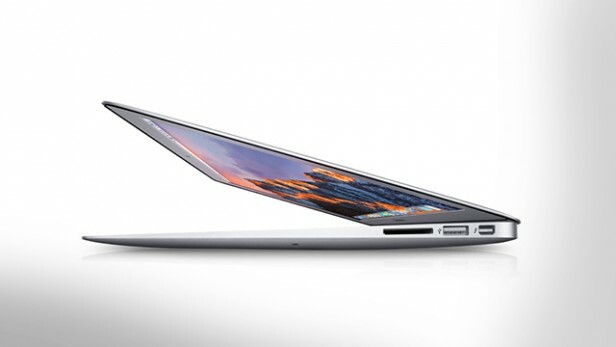 It’s popular to decry the “Apple tax” – the mythical premium Apple customers pay for Macs. But few look at the other side of the coins: what you get for your money. In Apple’s case: the best reliability and support. Mac computers are known for their reliability, as they’re capable of withstanding years of heavy use. 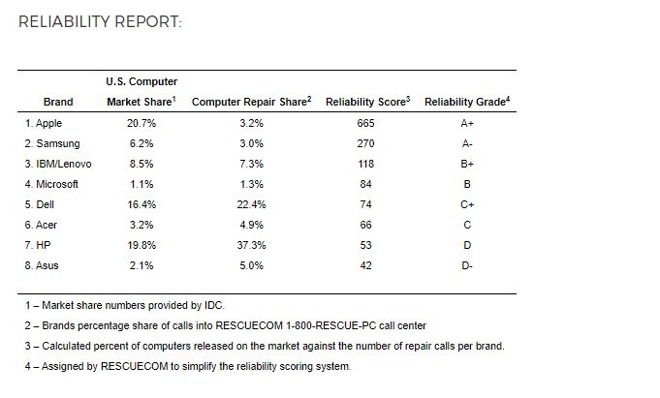 According to the latest Computer Reliability Report compiled by RESCUECOM, Apple’s machines are so reliable they’ve been awarded an incredible A+ rating in the firm’s independent analysis. In its analysis, Apple garnered a repair share of 3.2 percent and a whopping 665 reliability based on the company’s marketshare of 20.7 percent, which includes Mac desktops, laptops, and even factors in iPad devices, as well. Samsung, who garnered the second best score under Apple in the firm’s analysis, received a lower repair share of just 3 percent. However, based on the South Korean company’s respectively paltry marketshare of 6.2 percent in the United States, it earned an A- based on the reliability score of only 270. “The Samsung – Apple battle continues with Samsung coming in second to Apple but holding a higher rank than others due mostly to superior PCs like the sleek, elegant, and powerful ArtPC PULSE,” said David Milman, the head of RESCUECOM. If computer companies want to improve their reliability, says RESCUECOM, then they will need to invest more heavily in research and development to create computers more well-suited to today’s software.